Fernando de Noronha is an archipelago belonging to the Brazilian state of Pernambuco, and is formed by 21 islands and islets of volcanic origin, occupying an area of 16 miles². The island is located in the Atlantic Ocean in the northeast of the capital city of Pernambuco, Recife. 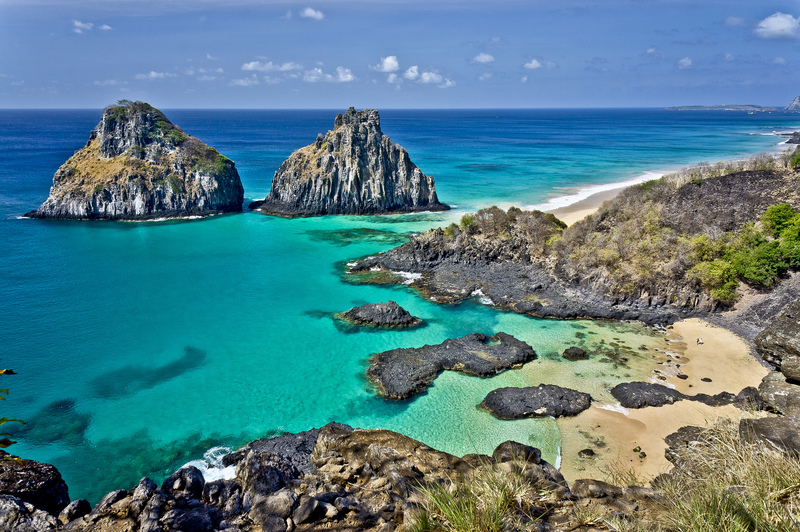 The archipelago arose about 12 million years ago through a series of volcanic eruptions and was officially discovered on August 10 of 1503, by the navigator and writer, Florentino Américo Vespúcio, who commanded one of the vessels of the expedition made to the archipelago. 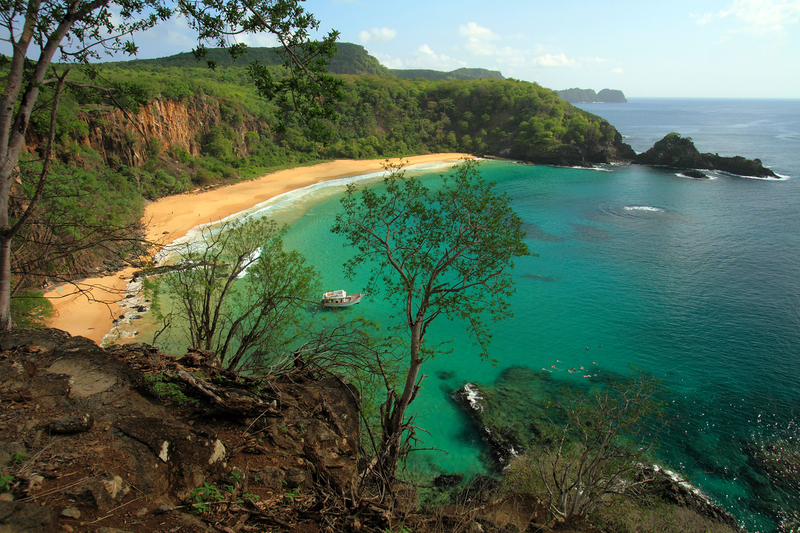 With 21 islands, the archipelago of Fernando de Noronha is located on a volcano with a base of 46 miles in diameter and 4,200 feet deep. Extinct for more than 20,000 years, the submerged volcanic crater is part of a chain of mountains in the Atlantic part of the South American plate. 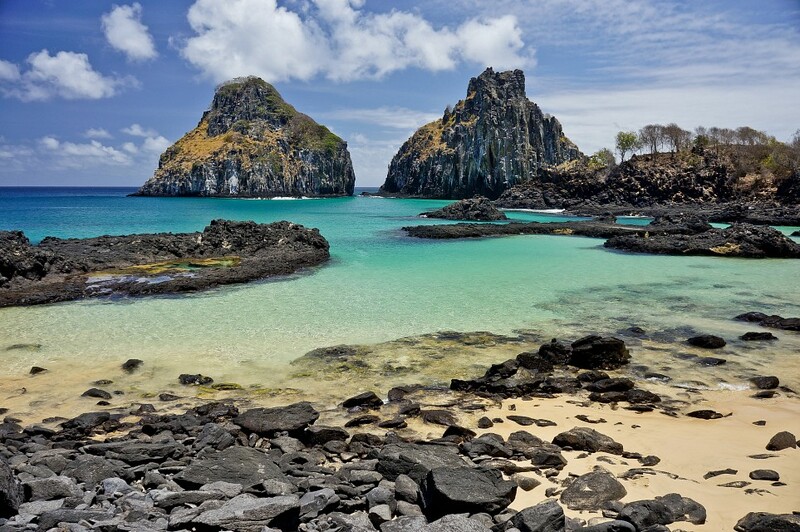 The oldest volcanic rocks of the archipelago are about 12 million years old and the landscapes that exist today in Noronha are the result of periods of intense volcanic eruption, which occurred with explosions and lava emission, along with the occurrence of sediment erosion. This tour consists of a walk through the Vila dos Remédios with visits to the museum, the church, the Forte dos Remedios, the São Miguel Palace and the ruins. 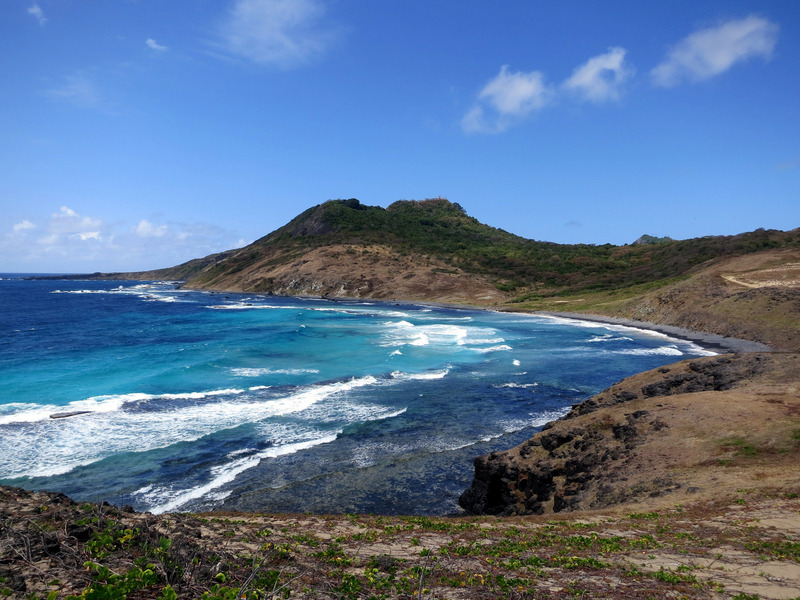 After visiting these historical monuments, the visitors will travel to three different beaches with stops for swimming, and the tour ends with a beautiful view of the sunset by the sea. The ride has a duration of about 3 hours and the cost of 65 BRL per person. 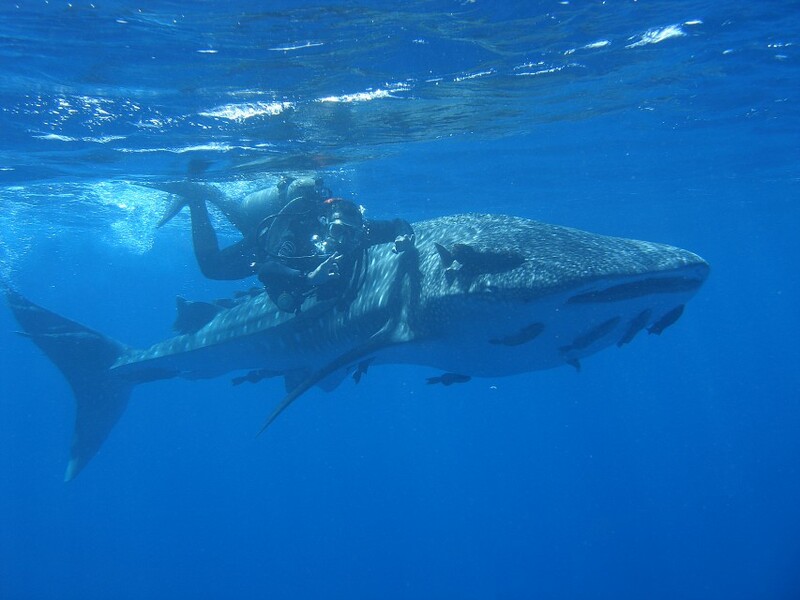 The Navi Project is much more than a simple promenade, the visitors will participate in a true oceanographic expedition. 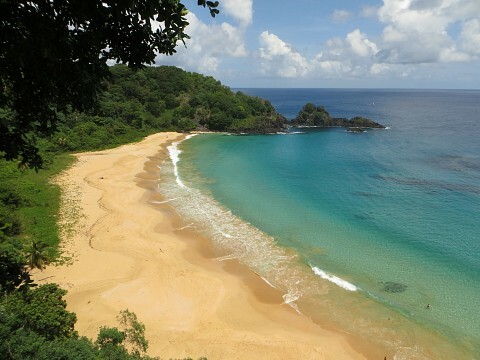 Accompanied by a qualified instructor and descriptive material, the tourists will interpret the living nature of the underwater world of Fernando de Noronha. The boat has a glass floor (large magnifying glass) where people can view the marine life without having to do any underwater diving, which is really awesome! The ride lasts about 2 hours and has an average price of 200 BRL per person. The ride is done with a buggy and always starts in the morning at 08:00 AM, with stops for swimming in the main beaches of the island (example, Beach of the Sancho and Beach of the Lion), with a break for lunch and then a return to the beaches and sights, ending the day with the view of the sunset by the sea. The tour lasts about 8 hours and costs 125 BRL per person. 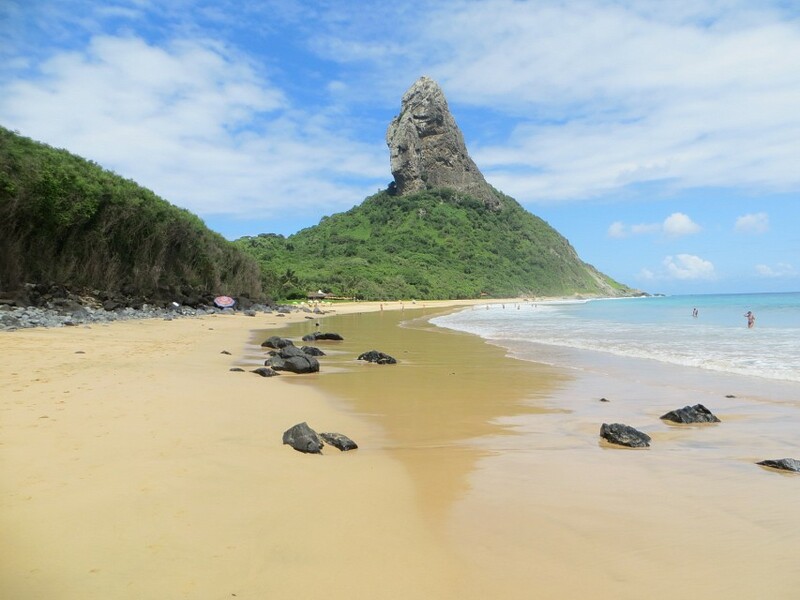 The boat trip to Dolphin Bay consists of a boat ride that travels around the inner sea, the boat leaves the port of Santo Antônio and passes the front of Dolphin Bay twice, going and coming, while travelling to the tip of the Sapata and then to Sancho for a swim lasting 30 minutes. The tour lasts about 3 hours and has a cost of 115 BRL per person. It is a promenade made in a vessel with a maximum of 10 people. The boat leaves the harbor towards the hill of Two Brothers with a stop for free diving at the Beach of Conceição. The ride lasts about 3 hours with a price of 200 BRL per person. 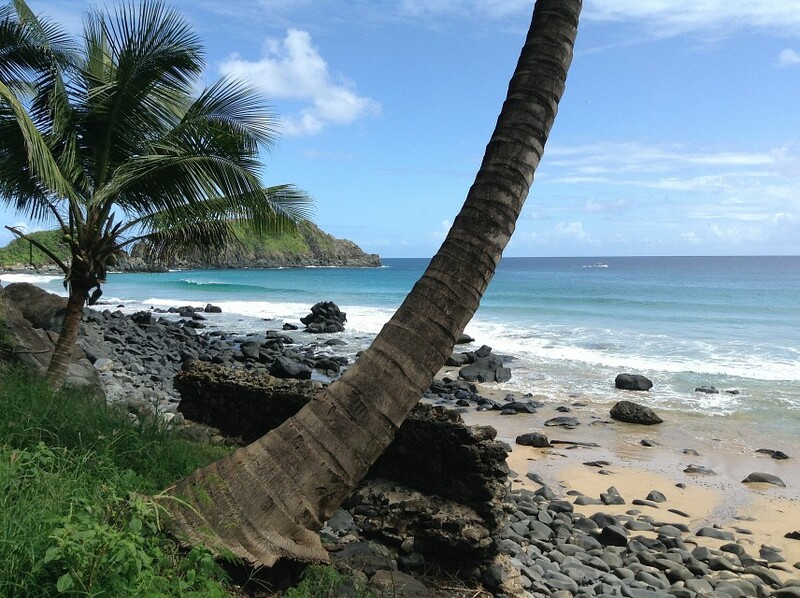 The are two main trails that the tourists can choose from – the trail of Atalaia (long) and the trail of the Dolphin. 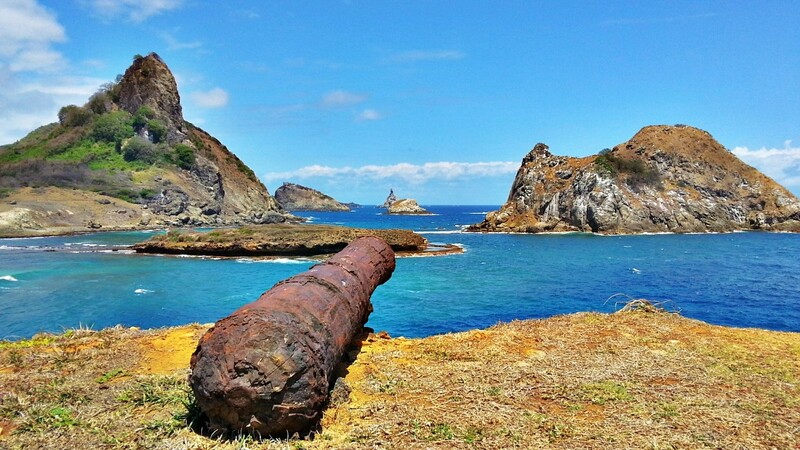 The trail of the Atalaia starts in the Caieira cove and the tourists can learn about the geological history of the archipelago through the rocks with the visual observation of the sea between Caieira and Atalaia, through the viewpoint of the tip. The visitors can also observe birds and the vegetation of the region, dive into the pool of Atalaia, and contemplate the coveted Island of the Frade. This track has a medium level of difficulty with narrow stretches of stones and rocks, with approximately 1.9 miles of walking and the price of 125 BRL per person. The trail of the Dolphin is carried out from 07:00 AM in the morning; the trail begins by buggy followed by one and a half kilometers of travelling until reaching the observation deck of the dolphins where the tourists can witnessthe arrival of the dolphins to the bay. This tour has a cost of 100 BRL per person. There are two options for diving: The Baptism - where the tourist make the first dive of their life and is done after a training session (360 BRL per person); and Diving for Professional Divers – for those who have experience and are able to dive with only the accompaniment of an instructor (410 BRL per person). 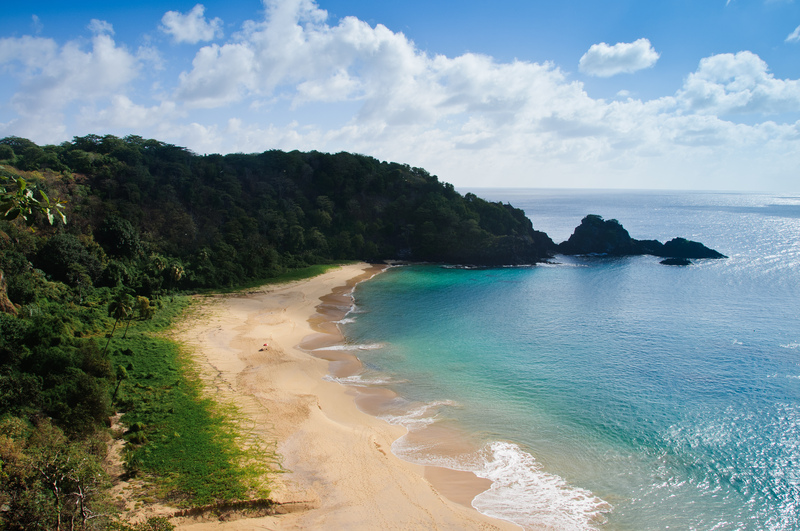 The only access to the archipelago is by plane with direct flights to Noronha which departs from Recife and Natal , it takes about an hour. 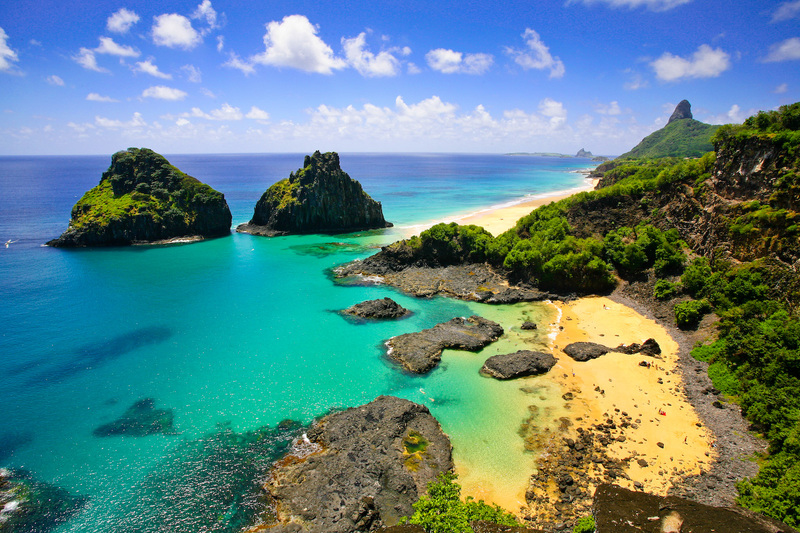 If the tourist is in other Brazilian cities, they will need to make a connection flight in these airports to reach at the Fernando de Noronha. 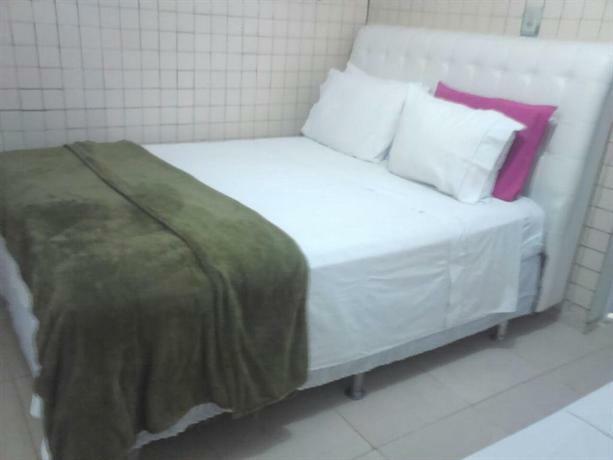 There is a lot of hotels and hostels in Fernando de Noronha, among them are: Pousada Miragem, Noronha Sol e Mar; Estrela do Mar, Pousada Alvorada; Solar dos Ventos, Pousada Zé Maria; Solar de Loronha, Pousada Teju-Açu, among others.